Bring life back to your locks with Cerafill Defy Hair Thinning Conditioner, a deeply nourishing treatment that creates a thicker, fuller appearance. Powered by an SP-94 complex to promote a healthy scalp environment, the conditioner works to strengthen every strand from root to tip in order to prevent breakage and combat premature thinning. Expect fortified and healthy-looking results. 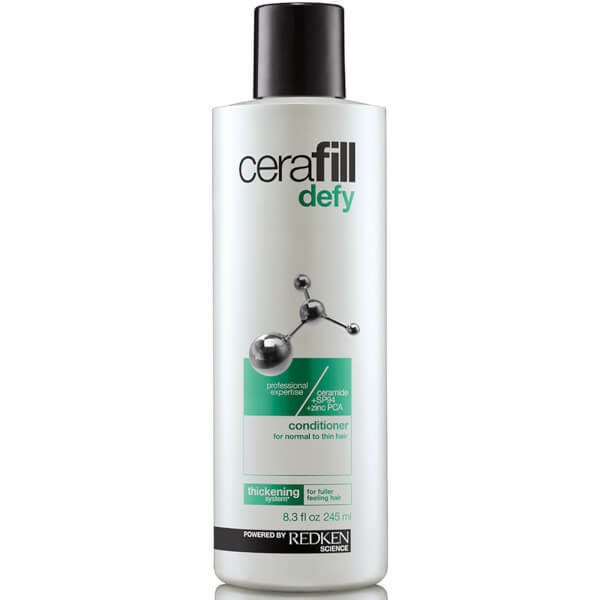 After shampooing with Cerafill Defy Shampoo, apply and distribute through hair. Rinse.